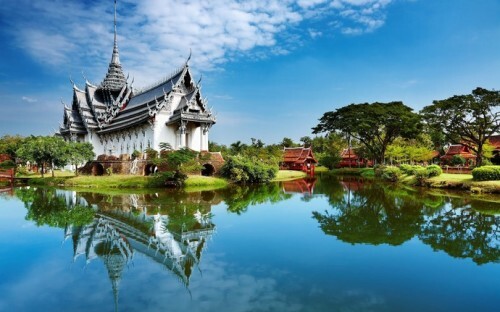 Cheap flights to Thailand in main season: Bangkok for only €335! Oman Air now offers really cheap flights to Thailand from Italy. Return flights from Milan (Malpensa) to Bangkok will cost you only €335! Travel dates are great from September 2016 until March 2017 which includes the main season in Thailand. Travel time is perfect between 14 and 15 hours with 1 stopover. If you prefer other destinations, Oman Air currently offers also cheap flights from Milan to Sri Lanka and Philippines. « FREE Ryanair flights – €10 off discount voucher reward!